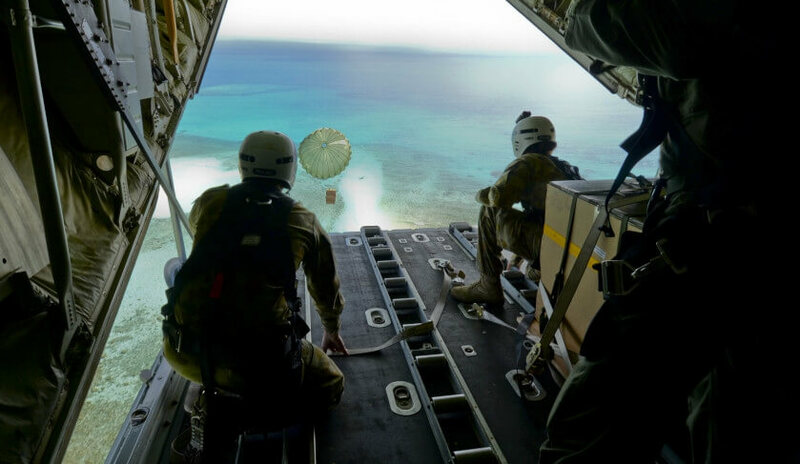 Australia, the US and Japan have joined forces again in Guam for the humanitarian mission – Operation Christmas Drop. The tradition of dropping supplies of non-perishable food, educational material, toys and fishing equipment began with the United States Air force (USAF) in 1952. Both Australia and Japan entered the mission for the first time last year. “In conjunction with crews from the United States and Japan, we will deliver to communities over an area of six million square kilometres,” RAAF’s Group Captain Carl Newman said. The goods will be dropped from the back of RAAF C-130 Hercules onto a group of islands “including in the Commonwealth of the Northern Marianas Islands, Federated States of Micronesia and Republic of Palau”. Conducted from Andersen Air Force Base in Guam this week, C-130 Hercules transport crews from all three countries will fly thousands of kilometres to airdrop up to 100 loads by parachute to remote island communities in the west Pacific. The exercise, while providing excitement and goodwill to the locals, is also used as a live training operation in preparation for disaster aid/relief. Addressing the RAAF and JASDF, Col. Douglas C. DeLaMater, the 374th AW commander, said, "Your participation in the coming days highlights our dedication and commitment to modernising our alliances, reinforcing our shared values and deepening our partnerships across the region. "Operation Christmas Drop is a prime example of the depth airpower brings to the Indo-Asia-Pacific region. “In addition to delivering critical supplies to those in need, Operation Christmas Drop provides specific training to US and allied aircrews, enabling theatre-wide airpower."